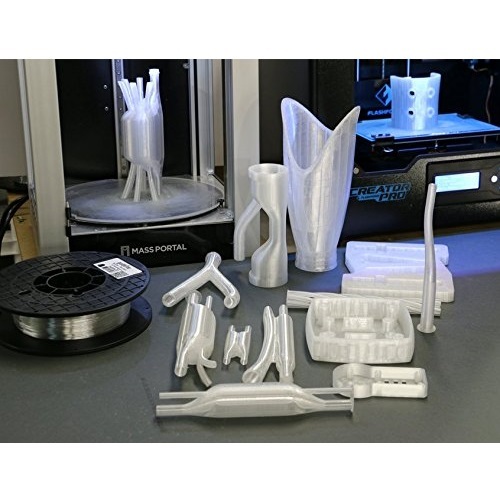 Taulman UltraClear PLA is a unique In-PLA created by Taulman 3D. 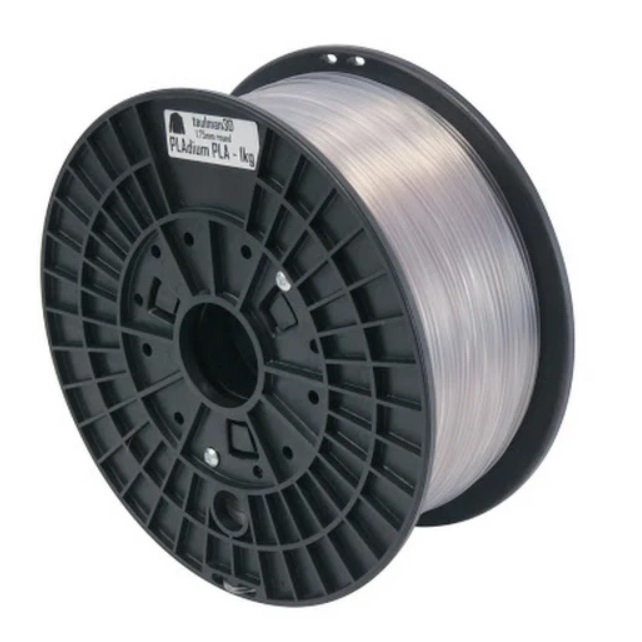 It is a transparent looking filament that is hard like PLA, but with a very smooth texture. Natural In-PLA has a cool, frosted look to it. In-PLA has a good amount of tensile strength and holds up well when compressed, but doesn’t have very much shear strength. The rigidity of PLAdium alongside its tensile strength and resistance to compression makes it ideal for static structures, but it’s low shear strength makes it not ideal for being exposed to alternating forces. For optimal printing results, we recommend printing at 210C. To help prints stick to the bed, lay down blue painters tape on your print bed.